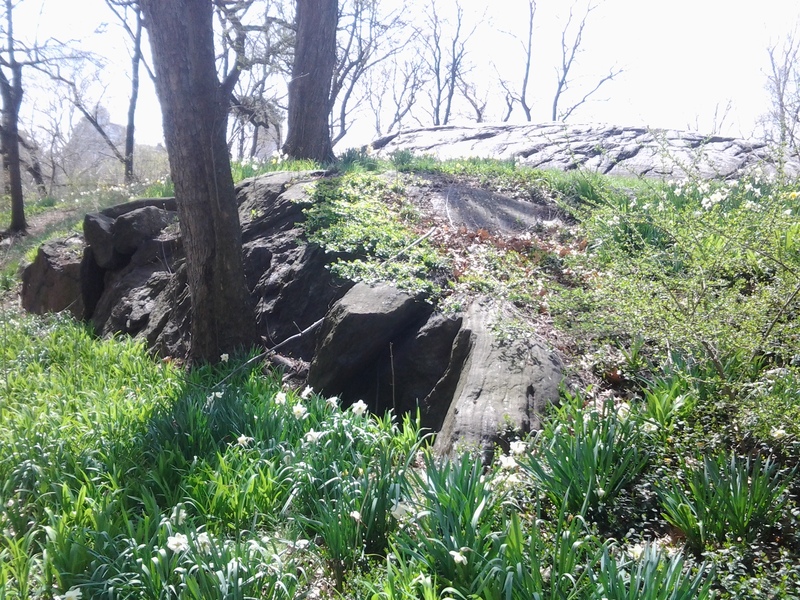 Earth Day 2015 . . .
An escarpment of Manhattan schist in Riverside Park, Spring. 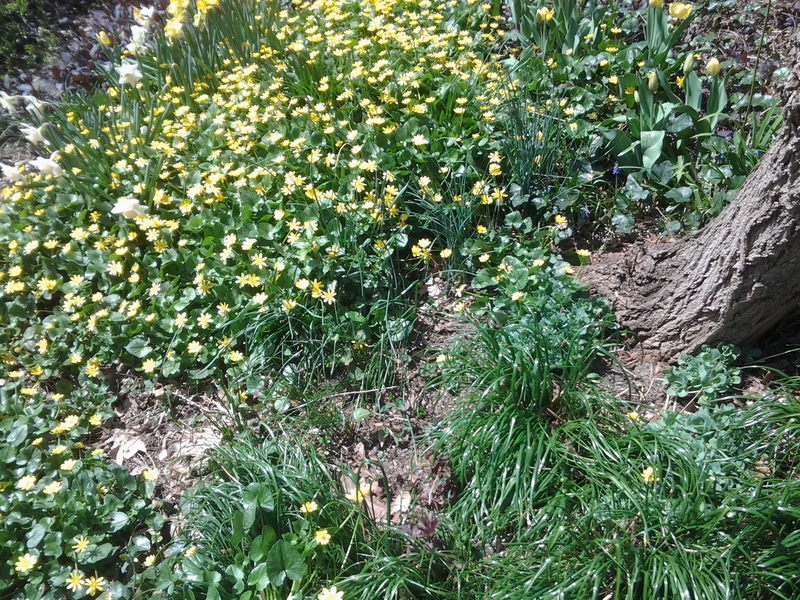 Lesser Celandine, Ranunculus ficaria, in bloom, Upper West Side.
. . . from Wildflowers of the West Village. I love receiving your Wildflower posts! With Wildflower Week coming up, I am wondering if you might be able to join us on the Sunday, May 10th, Hudson River Park WILD! 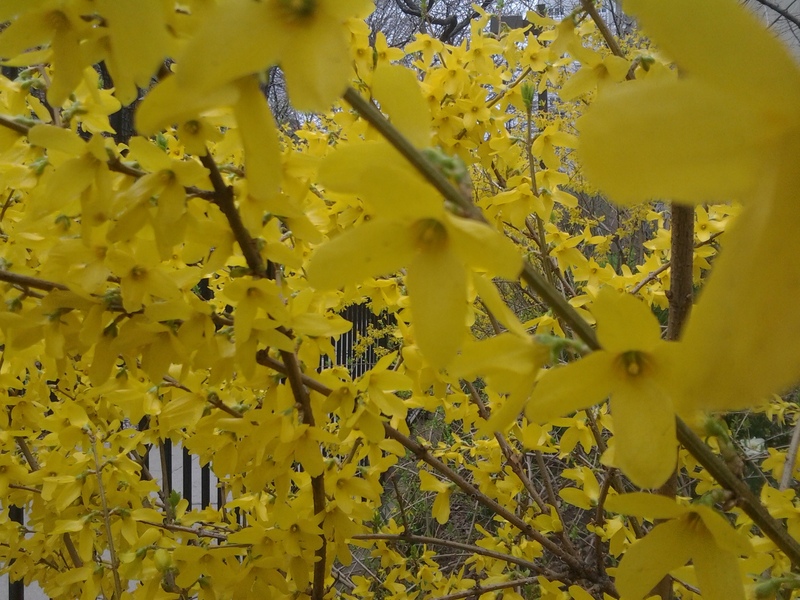 Walk to lend your expertise of what is blooming right now or to note to watch out for. We meet at 9:00 am at the Christopher Street fountain at the end of Christopher Street in Hudson River Park, and casually walk north for about an hour and a half.